ATTENTION! HOTEL RESERVED ONLY GROUP BOOKING! 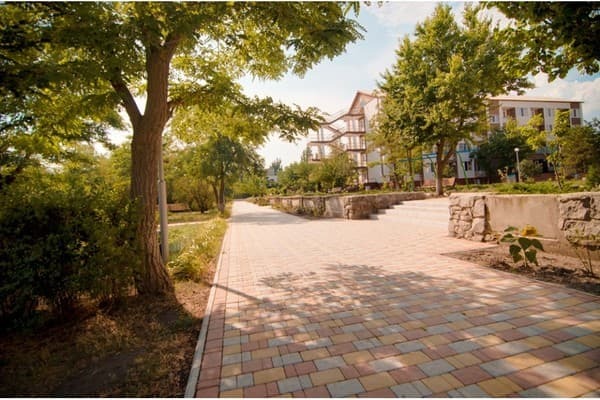 Recreation center "Energostroitel" is located on a large green area in the resort area of ​​Koblevo. A sandy beach, equipped with sun beds and a canopy, is located about 100 meters from the buildings. 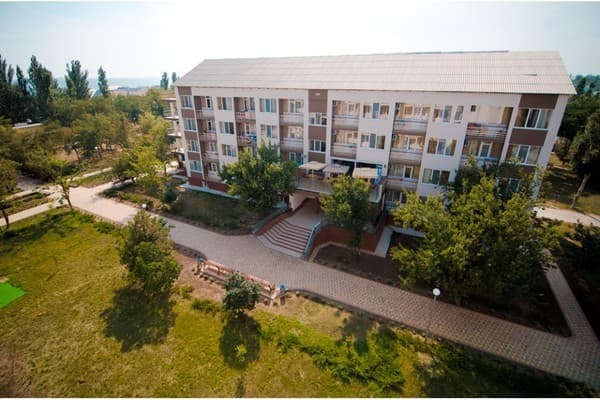 The base consists of two 4-storey buildings, the number of rooms of which totals 126 rooms. 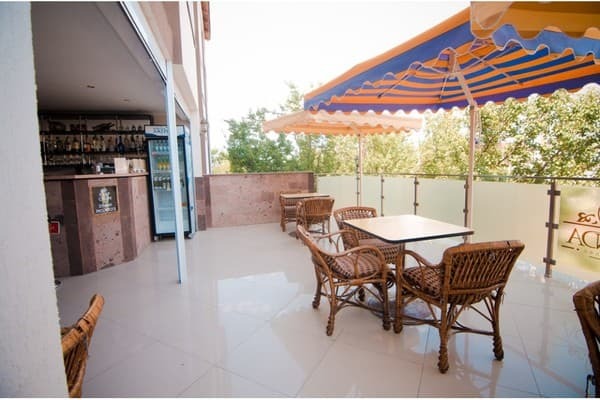 The rooms are equipped with everything necessary for comfortable living: air conditioning, refrigerator, TV, comfortable furniture, Wi-Fi access. 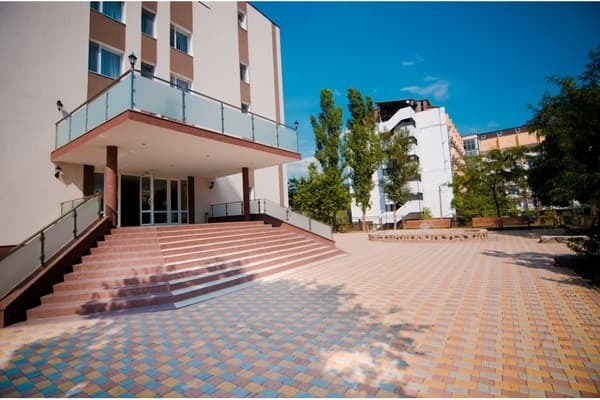 On the territory of the complex "Energostroitel" guests can use the assembly hall (cinema), entertaining children's attractions, a shop, a kebab for barbecue, a summer cafe, a canteen for 300 people. For the rest is provided parking. Many entertainment facilities of the resort and discos are located 500 meters from the base. The distance to Nikolaev - 83 km, Odessa - 60 km. Description of the room: In the room: two twin beds or one double, a wardrobe, a table, chairs, a washbasin, a balcony with a clothes dryer. Towels are provided for guests. Change of bed linen - 2 times a week. Bathroom, shower - on the floor. Description of the room: A spacious room consisting of a bedroom and a guest room. Description of the room: In the room: double and single beds, bedside tables, wardrobe, table, chairs, washbasin, balcony with clothes dryer. Towels are provided for guests. Change of bed linen - 2 times a week. Bathroom, shower - on the floor. 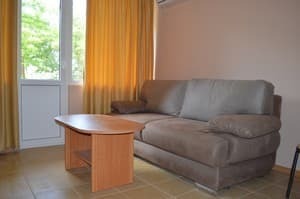 Description of the room: In the room: double or twin beds, bedside tables, wardrobe, table, chairs, balcony with clothes dryer. Towels are provided for guests. Change of bed linen - 2 times a week. Cold and hot water round the clock. 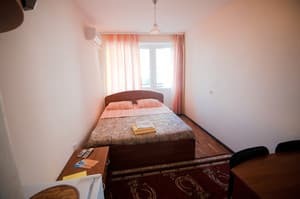 Description of the room: One-room triple room, equipped with a double and single bed, bedside tables, wardrobe, table, chairs, balcony with clothes dryer. Towels are provided for guests. Change of bed linen - 2 times a week. Cold and hot water round the clock. Description of the room: Spacious room that consists of a bedroom and a living room. In the bedroom there is a double bed, bedside tables, a wardrobe, a balcony with a clothes dryer. Living room: folding double sofa, armchair, coffee table, pouf, balcony. Towels are provided for guests. Change of bed linen - 2 times a week. Cold and hot water constantly. Description of the room: The room consists of three rooms. First bedroom: double bed, bedside tables, wardrobe, table, chairs, balcony with clothes dryer. The second bedroom: two separate beds, bedside tables, a linen closet. Living room: sofa bed, coffee table. In the room there is also a set of necessary utensils. Towels are provided for guests. Change of bed linen - 2 times a week. Cold and hot water constantly. All rooms (except for economy-type rooms) have the option of extra beds for children up to 15 years old - a clamshell. The price is 50% of the cost of the place for an adult. Children under 4 years without a separate seat and children under 7 years of age (inclusive) with the provision of additional space are free. The cost of extra bed in the room is 100 UAH per day. There is a restaurant. From 8:00 to 11:00 you will be offered a choice of complex breakfasts at a cost of 69 UAH. The cost of a comprehensive lunch is 79 UAH. 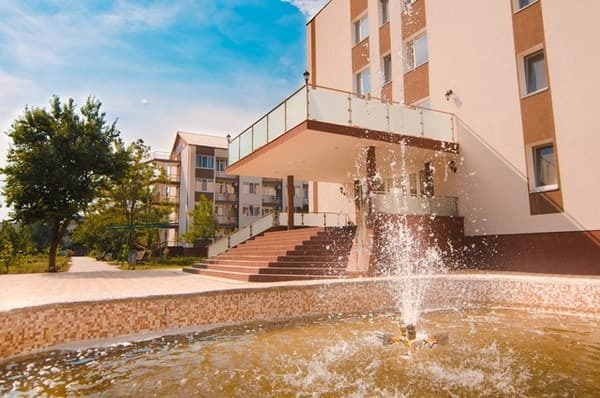 The recreation center is located in the resort area of ​​Koblevo. The distance to Nikolaev - 83 km, Odessa - 60 km. GPS coordinates: C 46 ° 62 "67.4" B 31 ° 19 "48.5"